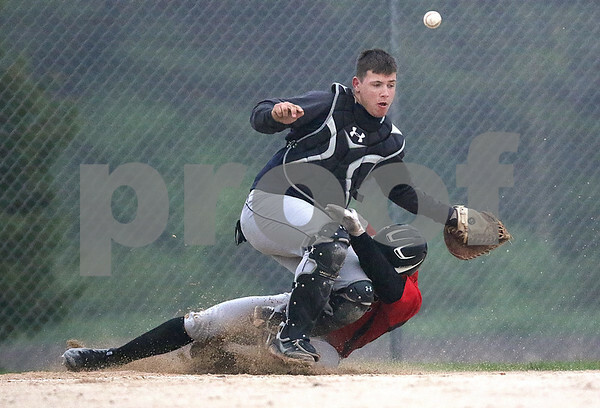 Indian Creek baserunner Joseph Wilson collides with Hiawatha catcher Bart Hall causing Hall to miss the catch at home as Wilson slid through for a run during the third inning at Indian Creek High School in Shabbona on Monday, May 9, 2016. The game was called at the bottom of the fourth and Indian Creek was winning 12-6. They will continue the game Tuesday before the scheduled game at Hiawatha.